Simons/ Lowe Orthodontics needed to video distribute patient arrivals and departure tracking times between their staff and orthodontists. The staff had to walk to and from each room to communicate status updates because computers were operating in different rooms. The office needed to split one computer source to be displayed in four different rooms. gofanco’s Prophecy 4-Port HDMI Splitter over CAT5e/6 with Loopout splits and extends to 1 local HDMI source display and 4 HDMI displays simultaneously. 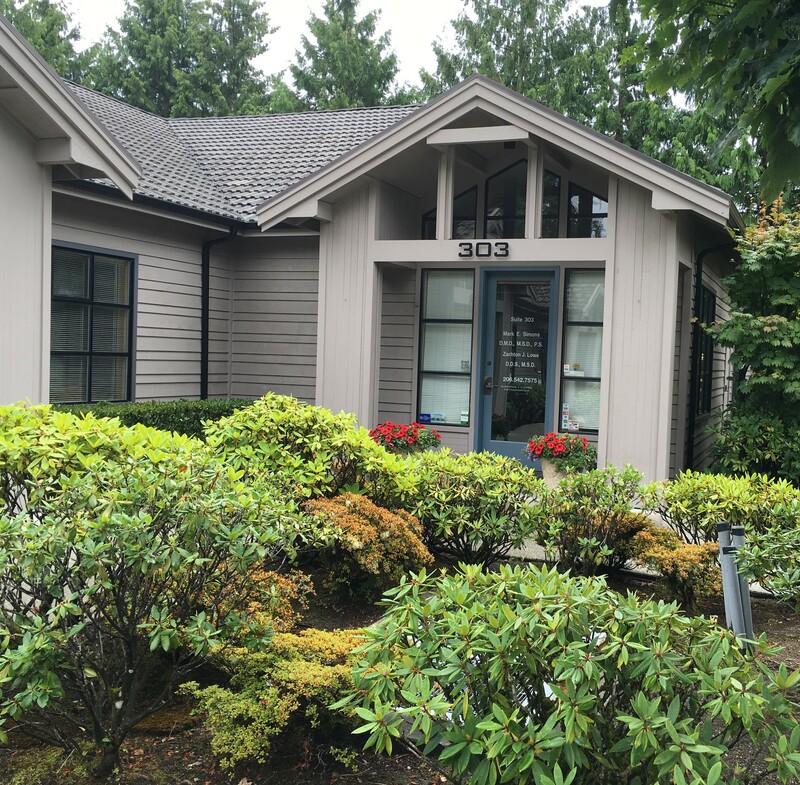 A small to medium sized orthodontic office can easily communicate patient status and tracking at one location which saves office space, improves staff workflow efficiency, and at an affordable cost. Simons/ Lowe Orthodontics has been in business for over 30 years, providing braces and invisalign treatment for their patients. Dr. Mark Simons and Dr. Zachton Lowe are the co-owners with 11 staff members. The office serves average 80 patients per day with January and August months being the busiest. Dr. Lowe was looking for an AV technology solution that could improve patient tracking and status updates to save staff time, low maintenance, and budget friendly. He planned to install and maintain the equipment by himself, so it was very important that the equipment had little to no maintenance. He wanted their Orthodontic software management to be displayed. He started his search on Amazon.com and looked at our website for further research. We were the only product that provided the convenience of the local HDMI source display and 4 HDMI displays simultaneously. He decided to purchase one unit. Dr. Lowe’s installation process was smooth, however, one of the power supplies gave out. Our technical support team sent a replacement and he was happy that it was remedied so easily. “The local HDMI display next to the box [was a needed convenience].” said Dr. Lowe. Dr. Lowe didn’t find any other company with this feature. This solution helped simplify the office space by getting rid of one of their existing computer and not needing to buy extra computers. From 2 computers with 1 monitor each to 1 computer sending a video distribution to 4 monitors. Dr. Lowe’s office has a small to medium size office space so they would prefer minimal equipment footprint. Dr. Lowe said that if he didn’t find our product he was planning on “buying 3 more computers to run the other screens, which would have cost $500-600 each. 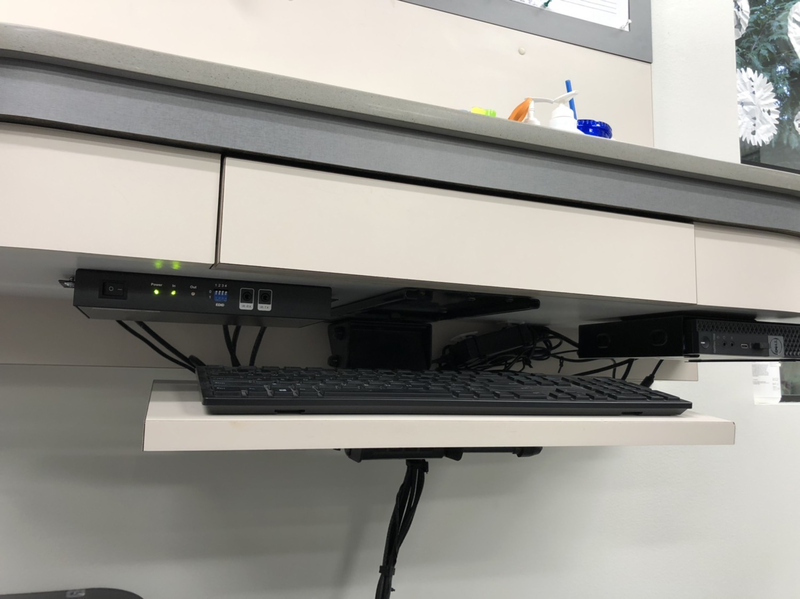 Probably spending $2000 total for equipment and maintenance cost.” In comparison our gofanco’s Prophecy 4-Port HDMI Splitter over CAT5e/6 with Loopout cost about $240, which saved the office about $1700 that could go toward other patient care needs. Extend and distribute 1 HDMI source to 4 HDMI displays over CAT5e/6/7 simultaneously. Supports up to 50m (165ft) at 1080p@60Hz and surround sound up to 7.1-channel or stereo digital audio. Why Do We Need HDMI Extenders?